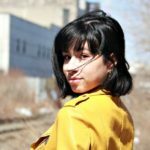 Elysa Rivera is a Marketing Intern at WomenWorking.com. She currently attends CUNY Baruch College, where she is studying Business Communications with a concentration in Graphic Design. Outside of studying business, Elysa enjoys spending her time writing and exploring the intersection of art and design.